Etisalat has punch the clock with their own time based data plan called Blaze On, powered by Comptel’s FWD solution. I can tell you that there is nothing as good as a timely based unlimited data plan in an environment of good network reception. 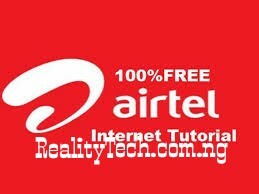 Timely based data plan was firstly introduced by Airtel in 2015, by then, you can get 1hour with just N180 to download unlimited, but Airtel later increased the price and that was how the Airtel timely based data plan was beried alive. Etisalat is now took over from where Airtel stopped. Etisalat Blaze on is the fastest and easiest way for Etisalat customers to connect to the internet. You get connected no matter where you are, simply by choosing the most suitable time plan for you. 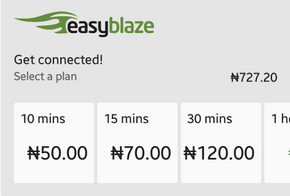 With BlazeOn Data Plans, you can get 10min for N50,15min for N70, 30min for N120 or go for the 1hour plan. Within the jurisdiction of this usage, you can download unlimited until your time expires. Text “blazeon” to 229 or just download & install the blaze on app. Blaze on notifies you of your connection status. You can also check your balance at any time from the app. Your time plans co-exists with existing bundle plans but takes priority. Only available for Android 4.0 & above, not currently available for Apple iOS devices. If you have a big file to download over the net and etisalat speed in your location is ok, you will really love this plan when you give it a trial.